Following its debut at the 2007 Tokyo Motor Show, the Nissan GT-R quickly established itself as one of the world’s best drivers vehicles, immediately winning Top Gear’s ‘Sports Car of the Year’, Autocar’s ‘Drivers Car of the Year’ and Autoblog's ‘Car of the Year’ awards. Most importantly though, it snagged a place on our list of '23 Supercars You Need To Drive'. Just like the car that came before it, the Nissan Skyline GT-R R34 aptly nicknamed Godzilla, this was another Japanese monster destroying the competition. The Nissan GT-R is a true Japanese supercar that took inspiration from its homeland to help it stand out from the field. Nissan’s chief creative officer, Shiro Nakamura, explained: “The GT-R is unique because it is not simply a copy of a European-designed sports car; it had to really reflect Japanese culture”. Whilst its European counterparts have elegant flowing lines and drop-top variants, the Nissan GT-R is bristling with muscle, intent, and technology. There is the undeniable menace of a Japanese movie monster. 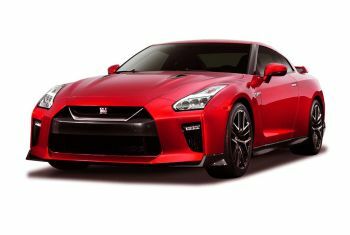 Lauded as the supercar for the PlayStation generation, the Nissan GT-R is brimming with technology that helps to generate its mighty performance. With so much tech under the bonnet, you’d be forgiven for thinking that it would offer a detached, virtual driving experience, with interfering electronic aids that stop you from feeling in the moment and at one with the car. Get behind the wheel of a GT-R yourself, and you’ll find such an opinion to be completely incorrect. The GT-R offers exactly the kind of visceral experience you’d expect from a high powered sports car. And the latest Nissan is the best so far. Throughout its life cycle, Nissan has continued to upgrade, improve and evolve the GT-R. The latest variant offers the most comfortable driving experience. Yet, without losing any of the laser focus and performance. that have been the hallmark of all cars with Skyline lineage. The GT-R is no longer a weekend-only car that leaves you exhausted when you step out of it. It is completely comfortable around town and on the motorway, whilst also remaining absolutely untouchable through the twisty stuff or on track. 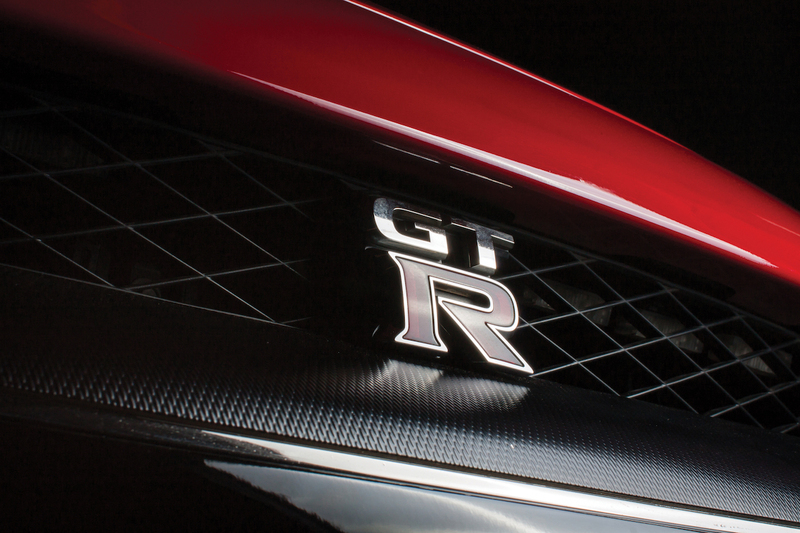 When launched, the GT-R produced an impressive 478bhp from its front-mounted 3.8-liter V6 engine. 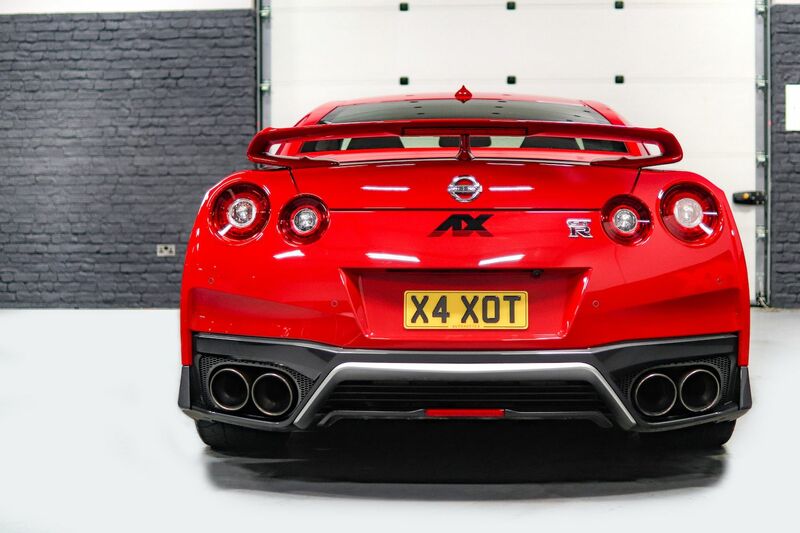 Nowadays, following those continuous tweaks and improvements, the GT-R produces 565bhp from its twin-turbocharged, 24 valve monster of a power unit. Each unit also happens to be handcrafted by one of Nissan’s master technicians. Such power allows the GT-R to dash from 0-60mph in a mind-blowing 2.7 seconds, putting the Nissan GT-R in the upper echelons of the acceleration hall of fame. It’s the kind of acceleration that, no matter how many times you experience it, you’ll never get used to. The GT-R will keep on going all the way to 196mph. 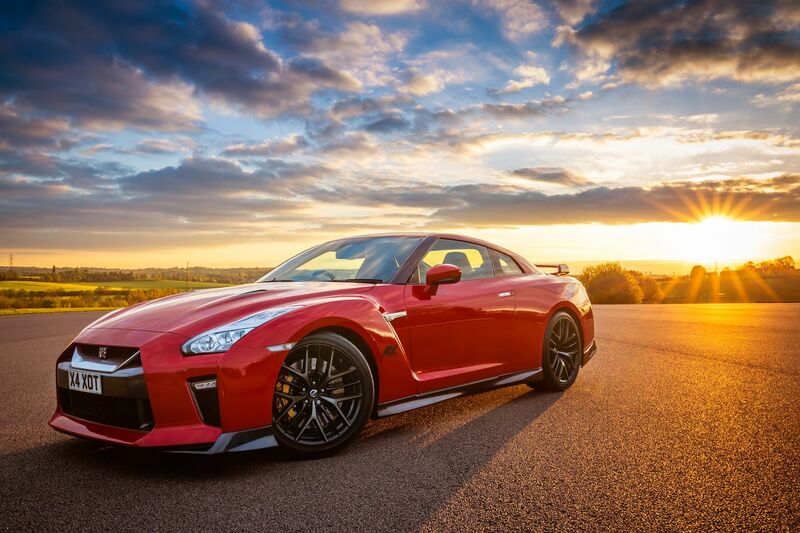 The Nissan GT-R hits its redline at 7,100rpm with max horsepower produced at 6,800rpm. In its latest iteration, turbo boost is improved, whilst power delivery and torque are now spread across a much wider band; 467lb-ft between 3,300 to 5,800rpm. Undeniably the perfect supercar for any track-focused supercar driving experience. To help deliver all that power to the road the GT-R has arguably the smartest four-wheel drive system found on any sports car. The catchily named Advanced Total Traction Engineering System for all-terrain with Electronic Torque Split, or ATTESA E-TS for short, is able to redirect power in milliseconds. Without getting too technical, there’s two driveshafts: one to the front wheels with an open differential. The second (and main) driveshaft sends power through a limited slip differential to the rear wheels. The system is incredibly clever, able to split torque left/right at the rear axle and capable of automatically breaking a front wheel should it be spinning too fast. The Nissan GT-R also features a much improved automatic dual-clutch gearbox that is now far more refined at low speeds and a variety of aerodynamic tweaks. The grille has been enlarged to aid engine cooling, whilst the bonnet has been significantly reinforced to give greater stability in high-speed cornering. There’s also 15 inch Brembo brakes to ensure the GT-R stops when it’s supposed to. As with just about everything else on this vehicle, Nissan has improved the interior immensely from what was offered on launch. Gone are the sea of buttons and controls, replaced by a new eight-inch touchscreen media system that is quicker and better to use. There’s a good deal of leather around the cabin in general, as well as on the new, more comfortable seats. The paddles to change gear are now located on the steering wheel, having been relocated from the steering column. 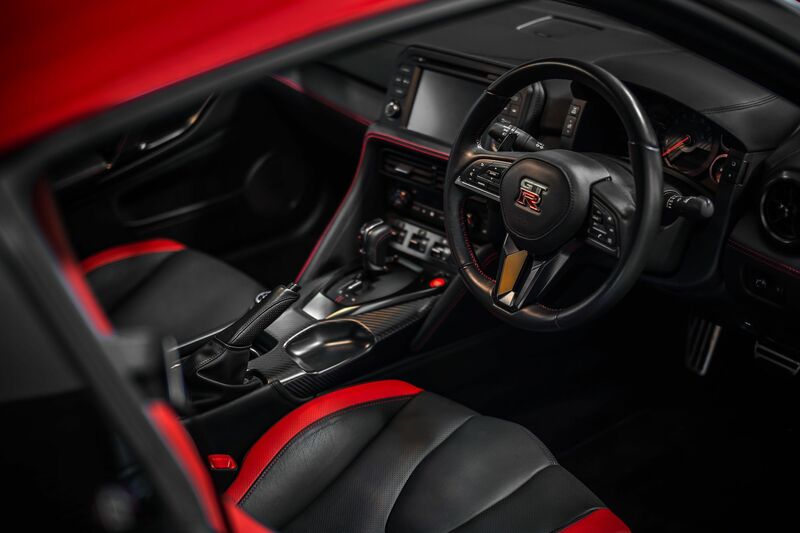 Sitting behind the steering wheel of the Nissan GT-R, you feel like a fighter pilot with a myriad of controls at your disposal via the GT-R’s all-encompassing infotainment system that was designed by Polyphony Digital (the studio behind the Grand Turismo video game franchise). No car is perhaps as customizable, with almost all of the car’s parameters adjustable from within the cabin, It includes suspension stiffness, throttle pedal sensitivity, the degree of wheel-spin permitted under acceleration and how long each gear is held under harsh acceleration. The list of things that can be amended to suit the drivers taste is too extensive to list. The GT-R even has a couple of rear seats, which admittedly aren’t suitable for anyone other than children, should you wish to take the whole family out for a supercar spin. There’s a good-sized boot too, which when added to the improved comfort levels, adjustable driving modes and new-found cruising ability, make the GT-R a true grand tourer capable of traversing the country at great speed, in great comfort. The very first GT-R was a high-performance version of the Nissan Skyline. A Nissan model which traces its roots back to the 1950s. The skyline was made iconic through its headlight, with its unique design of the bulbs. The first Skyline GT-R (KPGC10) appeared in 1969, initially as a four-door saloon, with rear-wheel drive, then later as a two-door coupe, already sporting the iconic rear spoiler. Its 2.0-liter straight-six and five-speed manual gearbox layout was also used for the second GT-R (KPGC110) launched in 1973. Only 197 Mk2 GT-Rs were built due to the fuel crisis of the 1970s and the GT-R was dropped altogether. It wasn’t until the all-new R32 GT-R arrived in 1989 that the Skyline was back on the map. The R32 featured the basic ingredients of the current GT-R, with four-wheel drive and a twin turbos engine. The racing versions dominated Group A touring car racing until they were eventually outlawed for essentially being too competitive. Next along was the R33 GT-R, larger and more hi-tech than the R32, it arrived in 1995. This was followed up by arguably the most iconic Skyline of all, the R34 which arrived in 1999. The Nissan Skyline R34 GT-R would go on to become a star of the big screen and a video game icon that cemented the Skyline’s position in automotive history. Whilst the Skyline name has been dropped, the current GT-R sticks to the naming system, given the moniker R35, as well as the performance tradition of the marque and keeping the iconic led bulbs, now surrounded by carbon fiber, alive. Want to experience mind-blowing performance yourself? 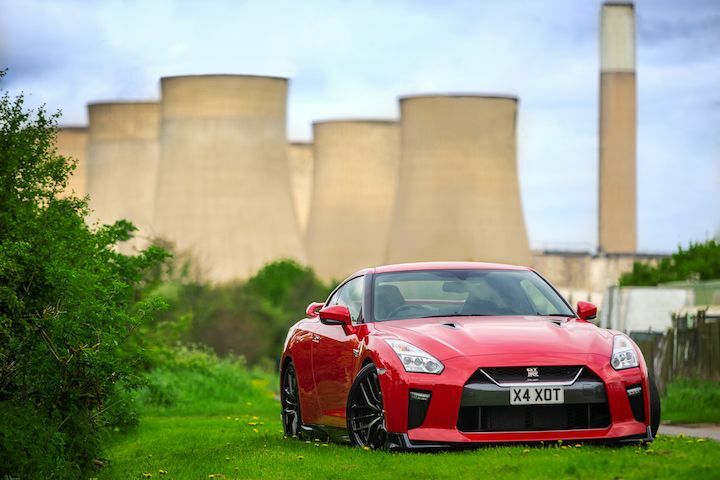 Take the Godzilla supercar through the British countryside and explore some of the UK's best driving roads. 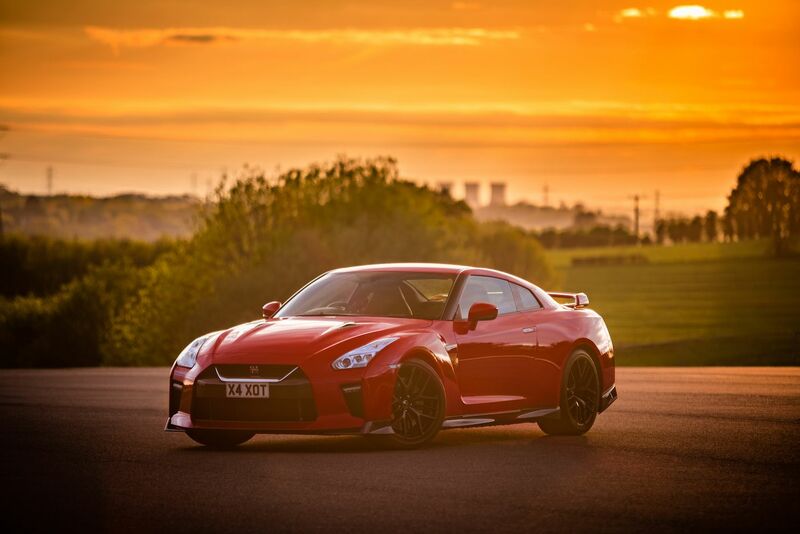 Hire the Nissan GT-R with Supercar Hire and feel the best Japanese engineering has on offer. Thanks for getting in touch with us. The Nissan GT-R is indeed a four-seater and we do also provide a driver. We’ll send you an e-mail with more details.